It is with great sadness that the Omani Coalition for Human Rights received the news of the death of detained Internet activist Hassan Al-Basham. The Coalition, established in March 2018, consists of the Gulf Centre for Human Rights, the Omani Association for Human Rights, the Omani Center for Human Rights and Muwatin Center for Press Freedom. Al-Basham passed away on 28 April 2018 while serving a three-year sentence in Samail Central Prison after a sudden deterioration in his heath due to the sharp drop in his blood sugar level according to the news received which also stated that he remained lying on the ground for an unknown period without providing any kind of first aid to him. On 08 February 2016, the Court of First Instance in Sohar sentenced Al-Basham to three years in prison on charges of "the use of the Internet in what might be prejudicial to religious values." He was also convicted of "insulting the Sultan" and fined 500 Omani Rials (US$ 300). On 13 June 2016, the Court of Appeal in Sohar upheld the three-year prison sentence against Al-Basham. A fine related to the charge of "insulting the Sultan" was overturned. On 17 January 2017, the High Court (the highest in the land) had revoked the three-year prison sentence against Al-Basham after its examination of his case, which is related to his human rights activities. The ruling was based on his deteriorating health and the case was referred back to the Court of Appeal. The High Court took into account the fact that the request by the defense team to carry out a medical examination of the defendant was ignored during the trial. However, on 19 November 2017, the Court of Appeal in Sohar again upheld the initial verdict of three years in prison to which he was initially sentenced by the Court of First Instance in Muscat. The Court of Appeal reportedly did not allow the defense team to present its evidence and medical reports. Al-Basham wrote on 25 November 2017 on his Facebook page: "Goodbye my friends and my loved ones ...." before he was jailed the next day in Samail Central Prison to serve the sentence. Al-Basham was an online activist who has defended prisoners of conscience with his numerous writings. He also carried out other activities on social and humanitarian levels. He participated in the 2011 protests during the Arab Spring, which in Oman focused on improving social conditions such as more jobs, as well as combatting corruption. 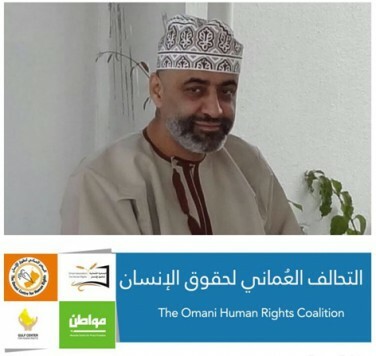 The Omani Coalition for Human Rights believes that authorities at the Samail Central Prison have effectively violated UN Standard Minimum Rules for the Treatment of Prisoners and failed to provide treatment to Al-Basham during his detention and caused his death by not acting with urgency after the sudden deterioration in his health.